EVERY OF THE STUFF: HOME // DECOR: Domino's back! HOME // DECOR: Domino's back! All we can say is, Domino's back!! The cult hit publication ended waaaay too soon for its extraordinarily devoted fans. 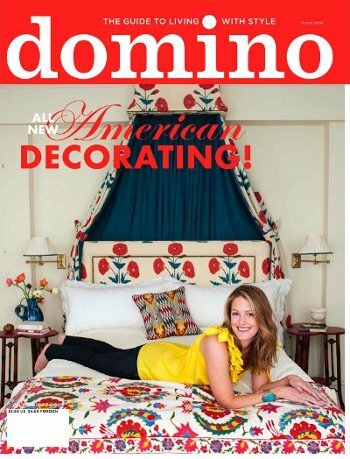 WWD reported that the editorial forces behind Domino will be returning staffers Michelle Adams (of Lonny) and Beth Brenner (of Traditional Home). It’ll be coming back this fall as a quarterly magazine with an e-commerce site. For more info, here’s the original WWD article. 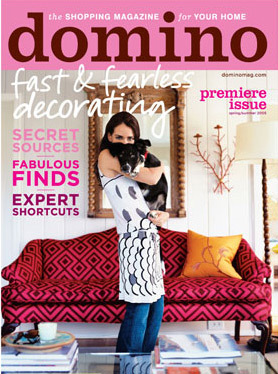 In celebration, here’s four of our favorite Domino covers.